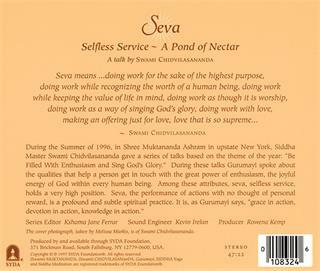 Seva is the practice of offering work with love and without expectation of reward. 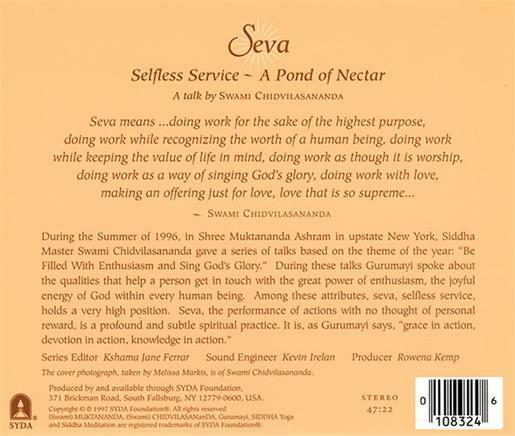 In this great talk, Gurumayi conveys the deep effect that seva has on a seeker's life and practices. She explains that seva is a way to actually embrace God, that through selfless service you enter into a direct and vital relationship with God. 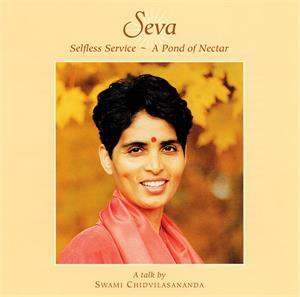 "Seva is the most wonderful, the most powerful, the most profound alchemy," she says. 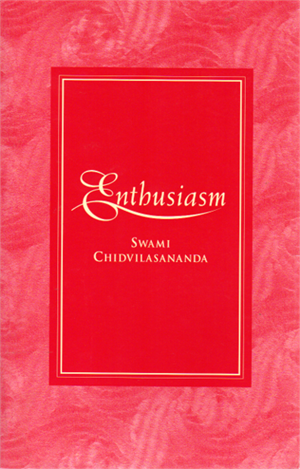 "You do seva, and you are a changed person guaranteed for sure."